Indiana Basketball – Hoosiers Beat Stony Brook 90-74 – Four Games In, What Five Questions That Needs Answers? 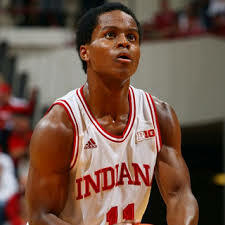 Yogi Ferrell is playing like the leader and assassin Indiana fans were right to expect this season in Bloomington. After beating their first four opponents by an average score of 93-69, fans have learned a little bit about the 2013-2014 Indiana Hoosiers. The highly touted freshman class has performed as advertised, and the sophomores have also responded to the challenge of replacing the 70+% of the offense that moved on through graduation or transfer. Fans have also seen some inconsistency and defensive lapses from this very young Indiana squad. Noah Vonleh has exceeded expectations by posting double doubles in the first four games of the season – the first Hoosier to do that since D.J. White in 2007. Yogi Ferrell has shown that extra work in the gym firing up threes pays off by shooting 40% from beyond the arc and averaging a team leading 18 points per game. There has been bad too. In the three blowout wins – all 90+ point efforts, Indiana has posted single digit assist totals. The important thing in offense is that the ball goes in the bucket. How you choose to put it in is about style. If Indiana scores 105 points against Samson with only nine assists, why should fans care? Well, beating people off the dribble isn’t going to be possible against good defensive teams and putbacks will be more difficult. Just what defines success for the Hoosiers this season? If Indiana is an elite program again, every season should begin with the goal of winning a championship, but Indiana is not elite again – yet. The Hoosiers have made it to the Sweet Sixteen the last two seasons, and that beats the hell out of the results of the three previous seasons, but elite teams hang banners. Indiana has not given the five NCAA banners a little brother since the last was hung in 1987. That allows a recalibration that accounts for the team’s youth. A realistic number of wins is 20. Indiana wins more than that, great, the season is a success. Less, the Hoosiers swung and missed. Will Jeremy Hollowell become a consistent positive force on either end? Hollowell has always appeared to be a laconic and disinterested basketball player. In high school and through the summers, Hollowell looked like he was waiting for a parent to pick him up to take him to the dentist while he was on the court. That’s not necessarily bad. Derrick McKey looked like that, and he was one of the best defenders in the NBA during a long career. But with McKey, there was never any question among those who knew the game that he was a great asset. With Hollowell, that’s not clear yet. He has the body and measureables, but so far this season, he’s 11-28 from the field, and has yet to turn the ball over less than twice in any of the four games Indiana has played. Like all Hoosiers not named after a lovable cartoon bear, Hollowell is not a big assist guy. The question with Hollowell is whether fans can believe their eyes when they see some of the worst body language on a Hoosier since Richard Mandeville, or whether his fire burns far enough beneath the surface that it’s completely hidden from view. Can Will Sheehey accept that Yogi Ferrell is the leader of this team? Just as with an NFL franchise, things run more smoothly when the point guard is the leader. Ferrell has always be the leader of the teams for whom he played. He is steady and driven. Sheehey can be uneven and occasionally allows his emotions to get the better of him. If Sheehey tries to migrate into a role where he creates offense for himself, the result could be an unraveling of the team first methodology that is best for basketball success. Sheehey is a talented complimentary player. If he is happy with that, he can be an outstanding piece of the puzzle for the Hoosiers. 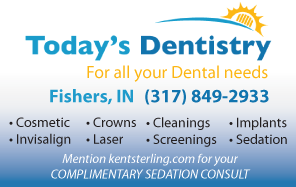 Click here to make the best dentist in Indiana your family dentist! How quickly can Troy Williams and Luke Fischer develop into excellent defenders? If you project the best versions of Ferrell, Williams, Sheehey, Fischer, and Vonleh into the starting lineup, that group can compete for a Big Ten title. Ferrell and Vonleh are pretty damn close to that level of player. Fischer needs to be able to raise his left arm over his head, and Williams needs to limit turnovers and negative defensive plays. He’s a ball hawk averaging two steals per game, but jumping into the passing lane unsuccessfully is going to give teams like Michigan State, Michigan, and Ohio State a huge advantage. Williams has all the potential in the world, and Fischer proved himself as a winner during back-to-back undefeated seasons in Wisconsin as a high school junior and senior. Can Indiana play against a quality zone and score? Because of the rule changes in college basketball, teams are going to be more likely to use a zone, and against the zones of LIU-Brooklyn, Indiana had trouble functioning as they scored a season low 73 points – the only time they scored less than 90. For my taste, Indiana runs a complicated offense against a 2-3, but Tom Crean is a smart guy, and if the key to creating open looks against a zone was as simple as getting the ball into the middle, that is what he would tell the Hoosiers to do. Whatever offense Indiana uses to make teams pay for running a zone, it needs to be successful because they are likely to see a lot of it. This entry was posted in College Basketball, Featured Story, Indiana Basketball, Indiana University, Kent Sterling and tagged Indiana Basketball 2013, Luke Fischer, Noah Vonleh, Tom Crean, Troy Williams, Will Sheeley, Yogi Ferrell on November 17, 2013 by Kent Sterling. I am more impressed with IU than I thought I would be. Ferrell is a complete player. He has improved more than I thought he would – especially to start the season. No wonder the assists are down; he is filling it up from everywhere on the court. When it comes to Hollowell, the coach in me likes what I see. He was asked to fulfill a role last year that he wasn’t accustomed to, and still earned a great deal of playing time. This year, he gets to revert back to guard status where he is apparently much more comfortable. Although he isn’t there yet, he has shown the ability to hit the outside shot and even run the point pretty effectively. By the time the season heads into the backstretch (around February), I expect Hollowell to be in every optimistic conversation about IU. I could be wrong, but he has proven to be very versatile so far in his brief IU career. The zone thing blows my mind. The zone is the easiest defense to teach and not complicated to beat. That is why 90% of youth basketball teams use it. Yes, you have to penetrate it through the dribble and/or the pass. It creates a numbers advantage for the offense. A team just has to take care of the ball when finding their seam. IU tends to have a problem with that. I don’t know if it is impatience or not, but an offense can certainly run a zone ragged with perimeter passes and direction changes before penetration. That tends to slow a defense down a half a step or so. Beating the zone is just a matter of execution. The more zone they see; the more they will practice it and get better. Right now, the upcoming Syracuse game looks ugly for IU. I think Fischer plays pretty good defense – especially with his feet. That is a huge obstacle for a freshmen. Of course, he s too slow to score when he gets the ball so fortunately there are other scorers. My whole deal is in gauging how pieces fit together, and Hollowell appears not to fit right now. He’s capable of making positive plays, and I hope he figures out how to function as part of the unit. i think as Fischer’s shoulder heels, his work offensively will improve. I think the observation about Hollowell fitting in is right on. However, I think it is a matter of things settling and gelling into the “new” team. Anytime that a team is inundated with newcomers, this kind of thing is bound to happen. I see the same thing to a lesser extent with Sheehey. Hollowell kind of reminds me of Watford in that way (fitting in). Hopefully, it will work out for him in a similar way.